SCVHistory.com CP1703 | Wm. 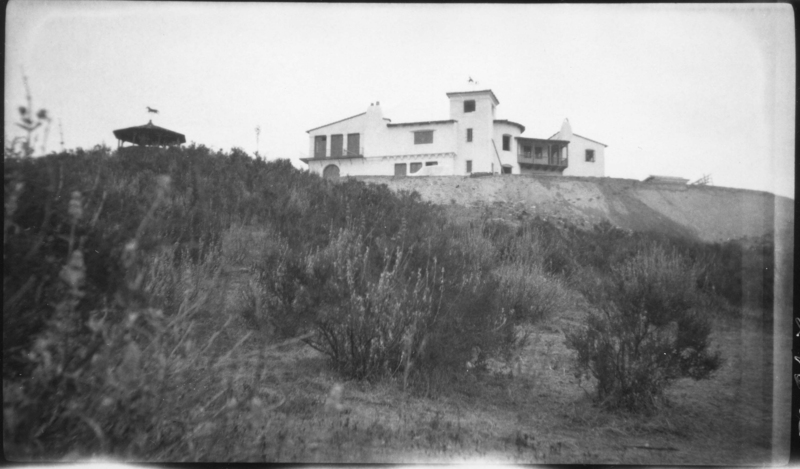 S. Hart Park | Newly Completed Hart Mansion, 2 Views, 1930. 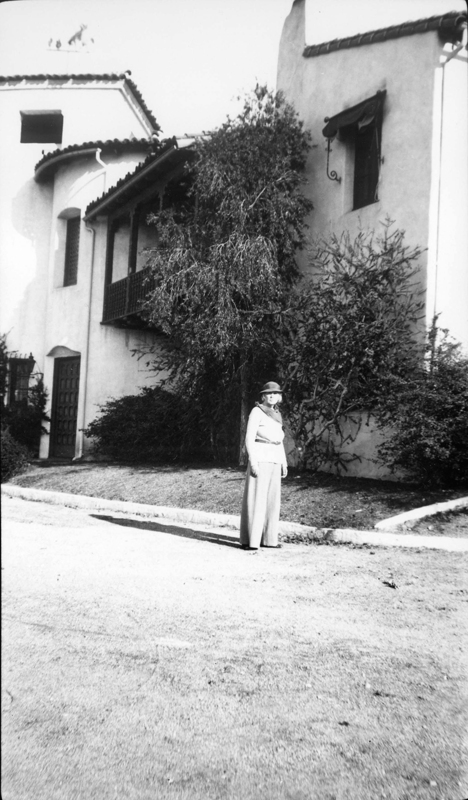 Above: Actor William S. Hart's newly completed mansion in Newhall, 1930. 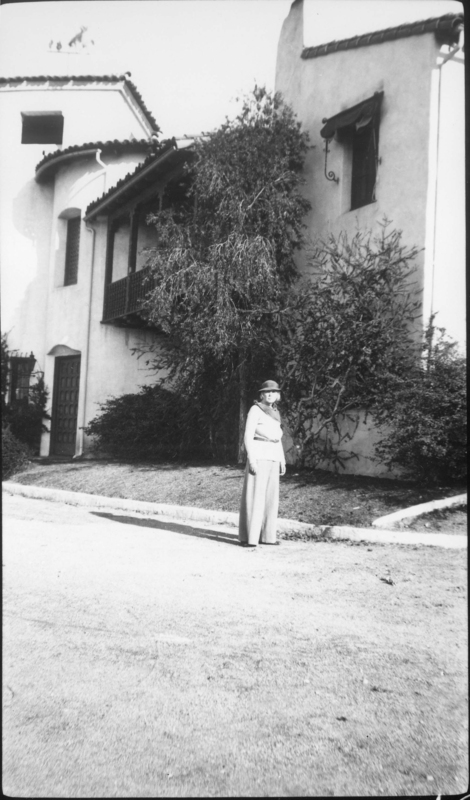 Below: Unidentified woman stading in front of the mansion. 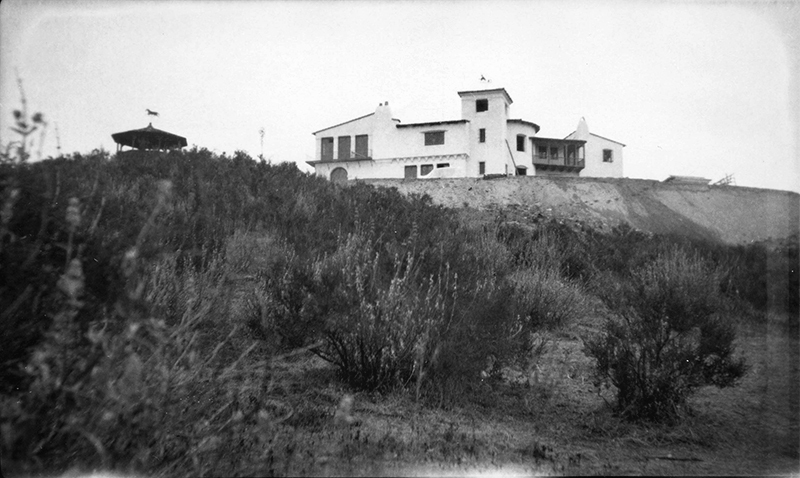 Date unknown but apparently the same period.